If you’ve been invited to participate in the Wordzen Voice trial, you can start using it at 8:00 a.m. CST today! Prior to using it, however, take two steps with your Wordzen account. Log in at www.wordzen.com, go to Settings and enter your Mobile Number and set your Signature. iPhone: On an iPhone, record yourself talking using the “Voice Memos” app, and then from the Voice Memos app, text the recording to the Wordzen number +1-312-313-1321. 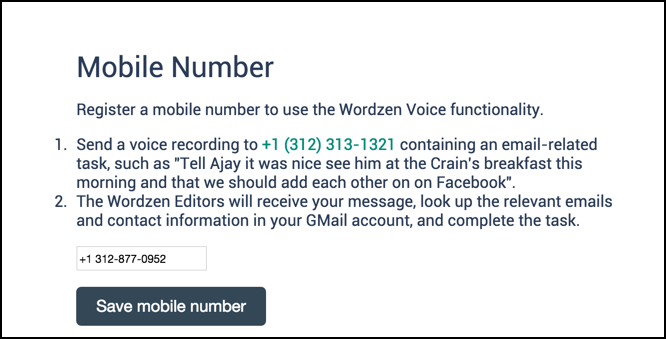 Android: On an Android device, you can either use the “Voice Recorder” app or on certain phones, you can record audio straight from the Messages app and then text the audio to the Wordzen number +1-312-313-1321. For ease of use, I recommend you save the Wordzen number in your phone as a Contact. In your recording, you can give us any instructions you like. 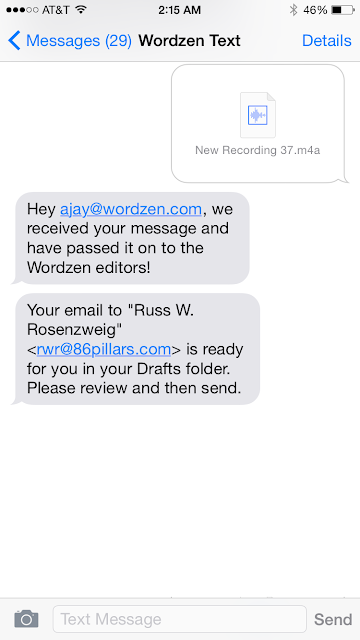 As soon as the recording is transmitted to Wordzen, you will get an immediate response by text, identifying your Wordzen account and letting you know that our editors are composing your email. As soon as the editor is finished, you’ll get another text letting you know your email is ready for you in your Drafts folder. At that point, you can review the email and send it. 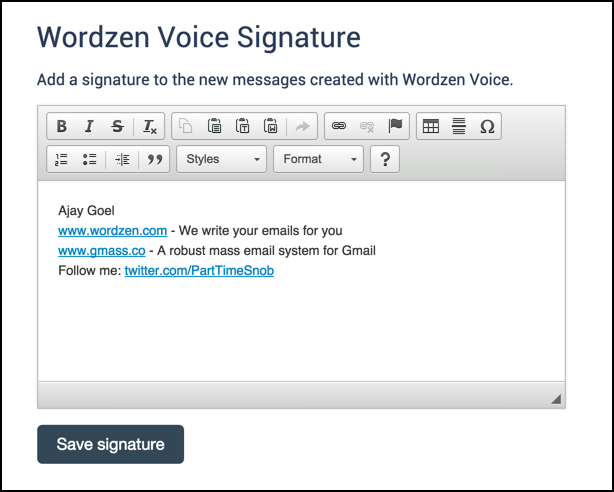 If you have your Wordzen Settings set that the email is sent for you rather than placed in Drafts for review, then the email will just send. I recommend, while we are testing this feature, that you set your Settings to the default, which is having the email placed in Drafts so you can review before the email is sent. 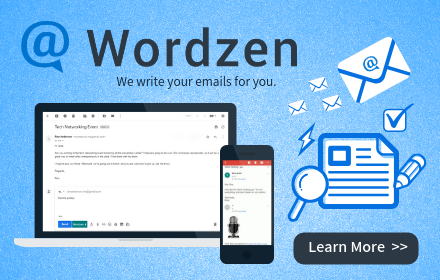 Wordzen editors will search your Gmail account to determine the email address of the person you wish to email, and to gain context on your current conversation with that person. You can view a log of all searches against your account in your Wordzen Settings. Composing an email based on voice instructions takes slightly longer than editing an email that you’ve already written. While we strive to turn your voice instructions into a polished email in under ten minutes, during the trial, we may need longer. If you’re participating in the trial, please use the Voice feature at least once/day for an email you need written. We’re hoping to gather enough sample data during the trial to tweak and perfect the feature for our larger user-base. After an email is written, you’ll receive an email asking you to rate how the editor did. Please rate often and comment as well, in order to provide feedback on this new service. Did we get the tone right? Was all the information you were expecting to be in the email included? Knowing how we’re doing will allow us to tweak and improve the service.